Google has brought great new designs in every update from Gingerbread to Marshmallow but there’s no one style that can appeal to everyone. 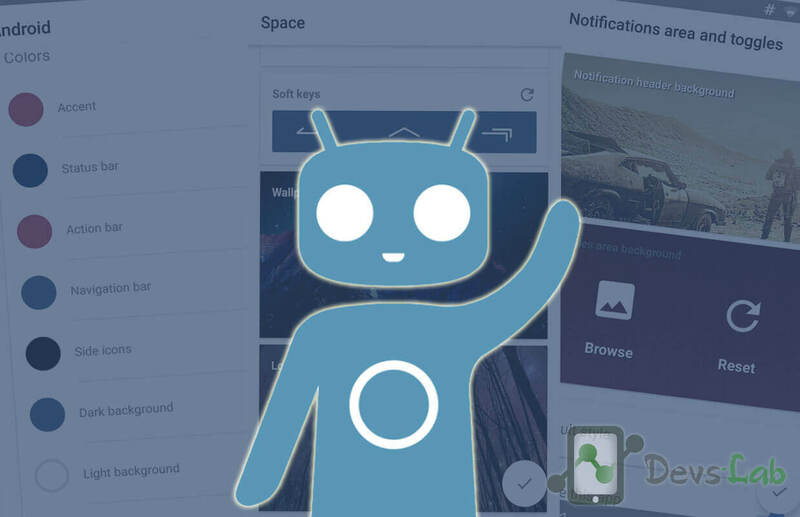 Custom ROMs like CyanogenMod offer a way to take matters into your own hands. You can theme everything from the notification panel down to the navigation bar and all the things in between. CyanogenMod themes are great customizations available for Android platform. But, if you are using Cyanogenmod for long time you might not find the perfect theme of your choice. Well, that’s human tendency; we always need improvements. In that case, why not create your own? Thanks to a relatively new app called Theme DIY, doing so is hardly as intimidating as it sounds. Rather than manually replacing files and tweaking APKs, you can now just download developer Darkion Avey’s free ThemeDIY app from Google Play. You need a device running Android Lollipop or higher and support for CyanogenMod 12 themes. When you first open ThemeDIY, you’re presented with a largely blank screen. Tap the hovering plus button at the bottom of the screen to get started. You should now see the theme creation screen. Start by typing a name. 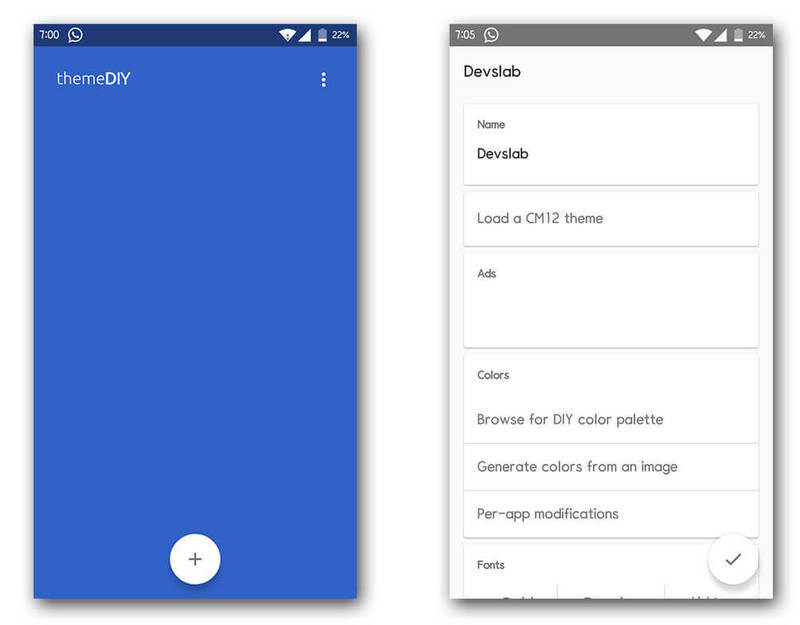 You can then load an existing CyanogenMod 12 theme that you would like to modify, select a DIY color palette, or derive your colors from an image. 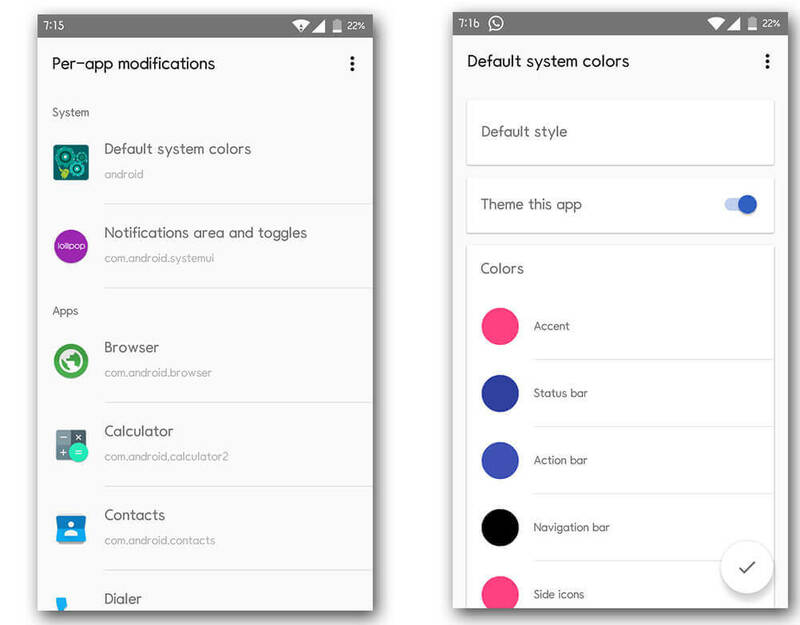 To manually select system colors, dive into the per-app modifications section. ThemeDIY lets you modify the look of the status, action, and navigation bars. Feel free to choose between a dark or light background, and then adjust the color of text to match. You can also modify your current theme’s per App modifications. No more waiting around for developers to make these minor changes for you. Then proceed to choose fonts and select files for the default wallpaper, lockscreen, and boot animation. When you’re done making changes, select the floating check button in the bottom right-hand corner. The previously blank ThemeDIY launch area will now show your theme right in middle of the screen. From the thumbnail, you can see the name, style colors, and wallpaper. Tap the install button. A notification will appear that you can tap to apply your theme. Or you can go back to the Themes app and select your creation from your list of installed themes. If you have a rooted device, you can avoid some of this work by having ThemeDIY install themes automatically. The developer does not permit you to sell themes that you create using ThemeDIY, nor can you make donate versions. You’re also not allowed to modify and share work based on paid themes without permission, as that would be considered piracy. Out of the box, the app comes with ads. However, you have the option to turn these off right inside the settings area. If you do, consider sending the developer an in-app donation to compensate. Finally you don’t need to wait for the developers to listen your demands or choice. You can do that on your own, without getting your hands dirty with codes. ThemeDIY feels like a natural extension to CyanogenMod and other ROMs.